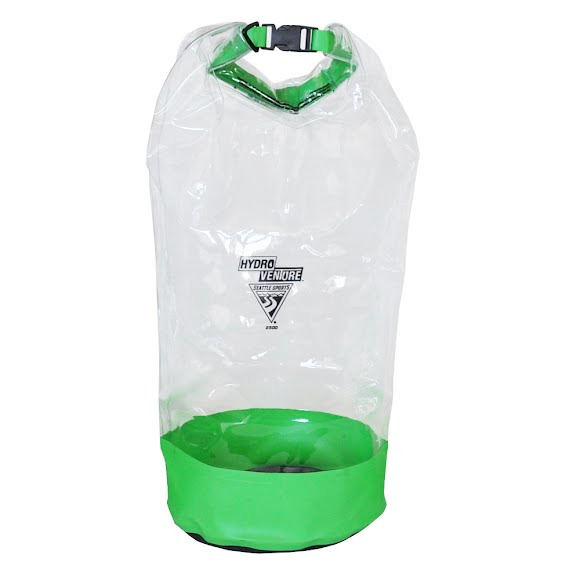 With tough wrap bottom protection, Seattle Sports Glacier Clears are the most durable clear dry bags on the market today. Constructed of rugged, clear vinyl, locating gear and equipment is a snap. Large Bags are for multi-day trips and bigger items: clothing, stove, boots, parkas, sleeping bags or food.